This may be my favorite smoothie ever. It tastes just like it sounds. 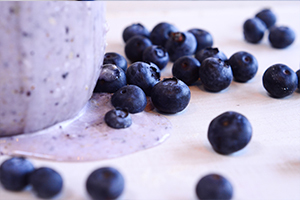 Blueberries are little wonders – they are small but packed with giant powers, and those powers go to work on the brain, helping your memory. They are the one food I recommend trying to eat a handful of everyday in the summer. 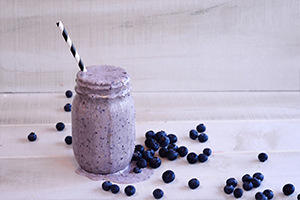 But, this smoothie can be made with frozen blueberries any day of the year. Also, don’t skip on the cashew butter, it is what really gives it that “muffin batter” taste! I created this recipe for Albertsons/Safeway, and when I did, we made three batches of it and stood in the kitchen slurping it down! 2. Add ice and pulse the blender for a thicker smoothie. Enjoy! A mans most of the smoothie mainkg in our house and his fav combo is a ton of berries + spinach + broccoli and man, I can never get over how thick and creamy and sweet and tart it is all at the same time. This looks so good! I really gotta get myself some protein powder. Jean, I can’t believe I didn’t see this comment! MUST try your combo – never put broccoli in a smoothie yet, but there is a first time for everything! 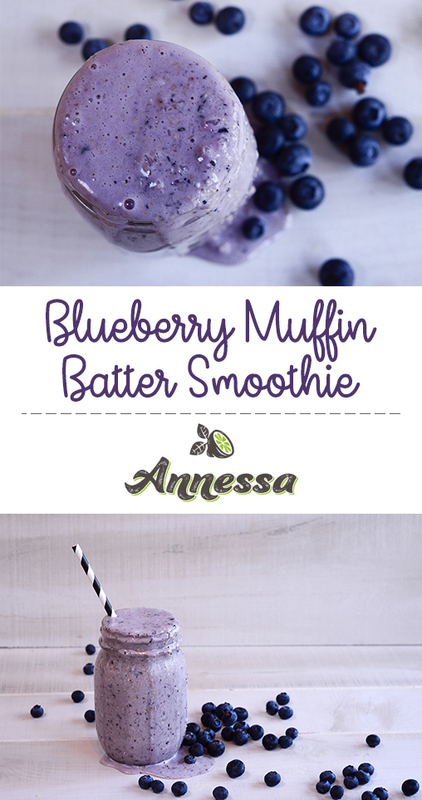 Did you try the blueberry muffin batter? 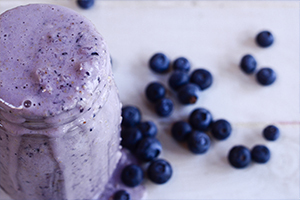 I have a smoothie almost every day for breakfast, and this is one of my favorites! I add a little ground flaxseed also. My kids love it, too! Hi, is there a cashew butter and protein powder that you recommend? This looks great. I appreciate all the healthy subs. Do you have an estimate of the nutritional info for one serving?